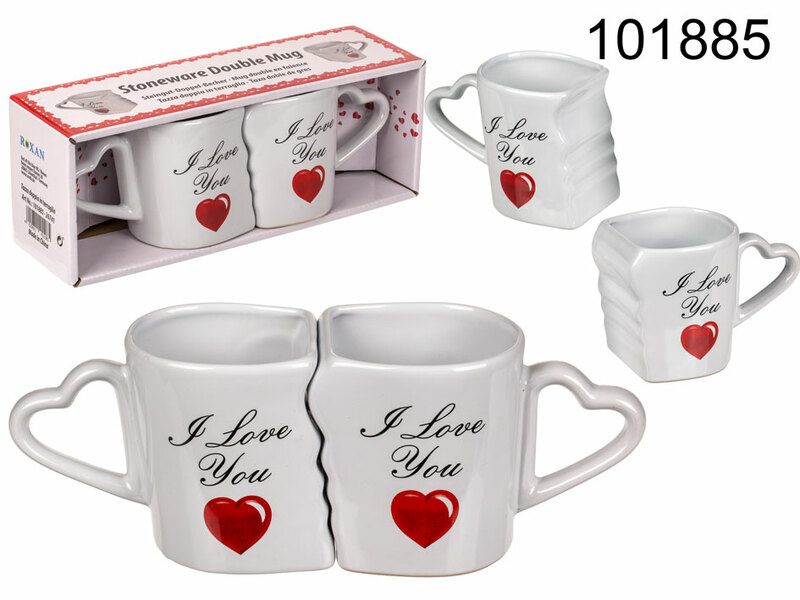 Set of two mugs that fit together - each mug is a symbol of one half. Romantic display of affection. Each mus reads "I Love You". Heart-shaped handles. Beautiful gift idea for those who are in love. - can you imagine a better Valentine's Day gift idea?